If you are seeing less of me each time we meet it’s because I am living my life with a purpose. I want to live a healthy and more active lifestyle. I want to be able to outrun diabetes, heart disease, high cholesterol and heart disease. These are all by-products of obesity. Look around at your family and friends. How many already have one or more of these unnecessary conditions? My oldest brother Doug became a diabetic at the age of 14. He is 64 this year. He is a kidney transplant recipient; and this year is on the list to receive another kidney. He has suffered so much because of this one disease. I lost a very good friend in January due to liver failure. She too struggled most of her life with her size; and the medication that she took to help her get through finally caused her organs to fail. My late husband Donald enjoyed an active life until onset of diabetes eventually wore his organs down and weakened him to succumb to liposarcoma a fatty-tissue cancer. How much would you be willing to invest in your life to save your body from organ failure? Let me help you make a decision that will change your life. 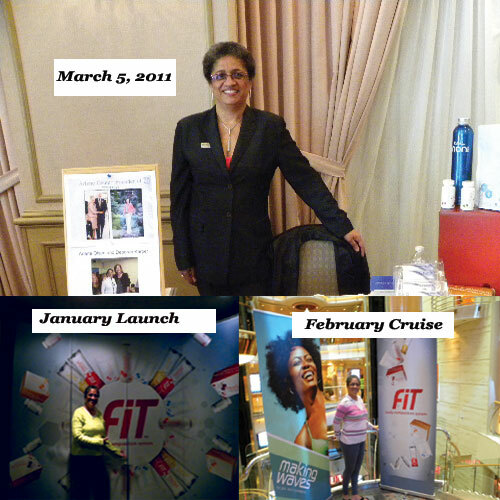 Visit my website: http://www.bit.ly/thefitsystem. I’d love to work with you to redirect your lifes to a healthier and happier lifestyle.